This year we lost one of the best creators of all time, Stan Lee, and now we lose another creator who touched the lives of millions of children. Stephen Hillenburg, the creator of Spongebob Squarepants, died on Monday at age 57. Nickelodeon announced his passing on Twitter, saying they are observing a moment of silence to honor him. Last year Hillenburg announced that he was diagnosed with early stages of ALS. ALS (amyotrophic lateral sclerosis), also called Lou Gehrig’s disease, is a neurodegenerative disease that affects nerve cells in the brain and the spinal cord. It is a rare and terminal illness. Despite the bad news, he continued to work on Spongebob Squarepants and other projects. But the disease took it’s toll and is responsible for his death. According to Variety, Hillenburg worked on more than just Spongebob. He began his animation career in 1987. In 1992, he won an award for Best Animated Concept at the Ottawa International Animation Festival for his animated short, “Wormholes.” That same year he graduated with his Fine Arts degree from the California Institute of Arts in Valencia. 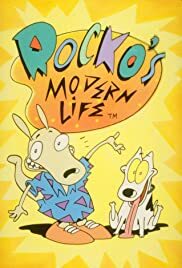 Then he became a writer and director for Nickelodeon’s Rocko’s Modern Life from 1993-1996. A former marine biology teacher, Hillenburg’s love for the ocean translated into his creativity. On May 1, 1999, his creation Spongebob Squarepants first aired on Nickelodeon. To date, it has over 250 episodes, 12 seasons, and a huge following of children and adults alike. He is survived by his wife, Karen, son Clay, mother Nancy, and brother Brian. A noticeable decline in quality was apparent after the movie when he took the backseat. The first few seasons had a whimsical nonsense to them. They are the episodes most of us remember. Most of the Spongebob memes you see are from this era. After Hillenburg left as showrunner, the comedy became gross-out physical humor instead of the universe immersing ridiculousness we came to know and love. When Hillenburg returned to the show with the movie “The SpongeBob Movie: Sponge Out of Water,” I saw a return of that classic humor that was present at the beginning of the show. When I was having a hard time with adult problems a few months ago, I found the Hillenburg seasons of Spongebob on Amazon Prime and watch them. And the childish nostalgia really helped me get through the rough patch. Mouthing along to every episode without missing a beat as it had been ingrained in my childhood brain.